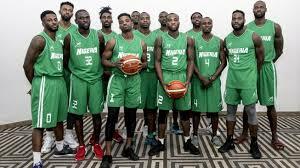 Assistant Coach of D’Tigers, Mohammed Abdulrahman is still optimistic of his team winning a medal at the 2018 Commonwealth Games holding in Gold Coast Australia. Speaking from the team’s camp in Cairns after their second loss in as many games on Saturday, a resilient Abdulrahman said despite his team still in search for the winning formula, they are still in the race to return home with a medal. “We are still hoping that we can be on the podium regardless of the medal we can get. It is not over unless we are out of the tournament. We are not going to lose hope, we are going to keep playing and hoping that we can be able to get to the podium,” the Gombe Bulls head coach said. “We have 2 life lines. If we don’t get to make it as the first 2 teams in the group, we will still get to play against the best 2 teams in group A for a slot in the semi-finals. So, it’s never over until it’s all over. Although still hurting from their surprise 67- 82 points loss on Saturday to a young Canadian side, he said the loss against the North Americans was more painful because of his team’s level of confidence heading into the encounter. The team will continue their quest to record their first win at the Commonwealth Games when they meet Australia on Monday.